Friends, I share here this experience that has to do with the vibrations of the model during the running of our engines. 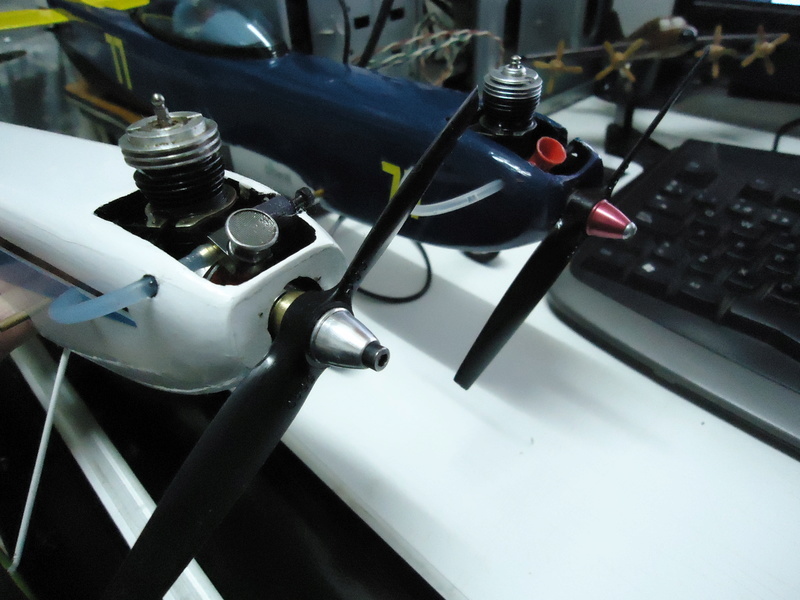 I recently flew one of my Stylo models and lost part of the control, I just lost control of the depth, fortunately the model was high which gave me time to "fly" with engine accelerations ailerons and rudder can make it unload on the crop tender of green soybean and thus I did not suffer any type of consequences. I did not even break the propeller, I was very lucky. 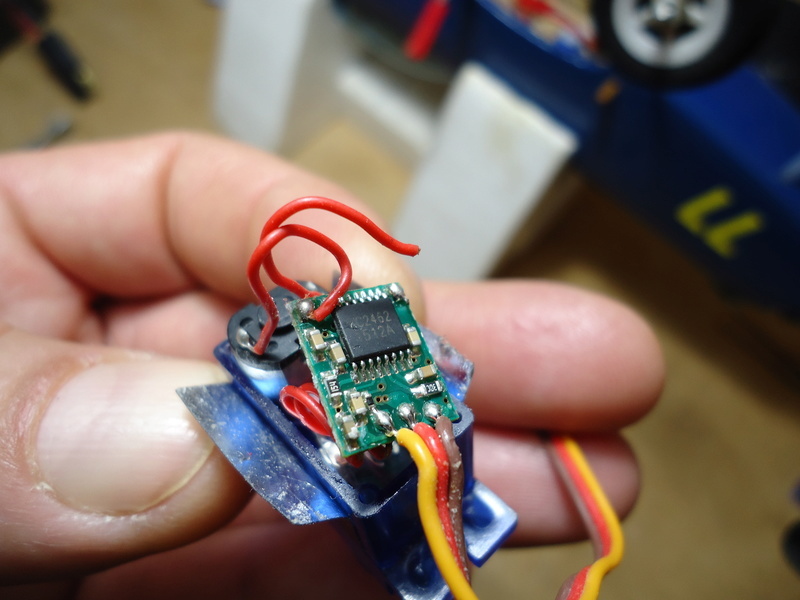 When I got home, I controlled the radio system and the elevator servo had stopped working, so I removed it and opened it and found a cable to feed the servo motor itself, just at the welding level. At 18850 rpm with the original Cox 5 x 3 propeller and as it comes from the factory, the model becomes an incredible vibration. 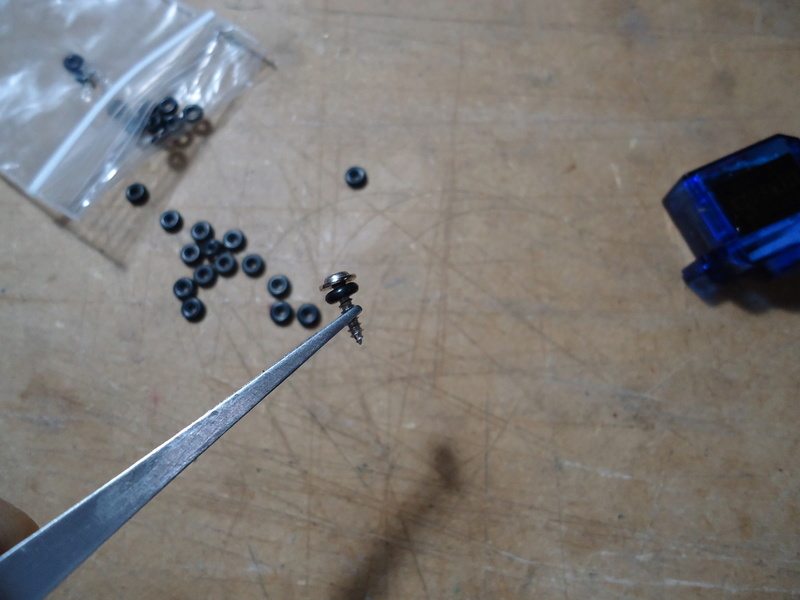 Now after correctly balancing, even adding lead in the mass of the propeller (when needed), it was perfect. My question is: have they had this kind of problems? Yes, it's largely because the propeller is unbalanced! 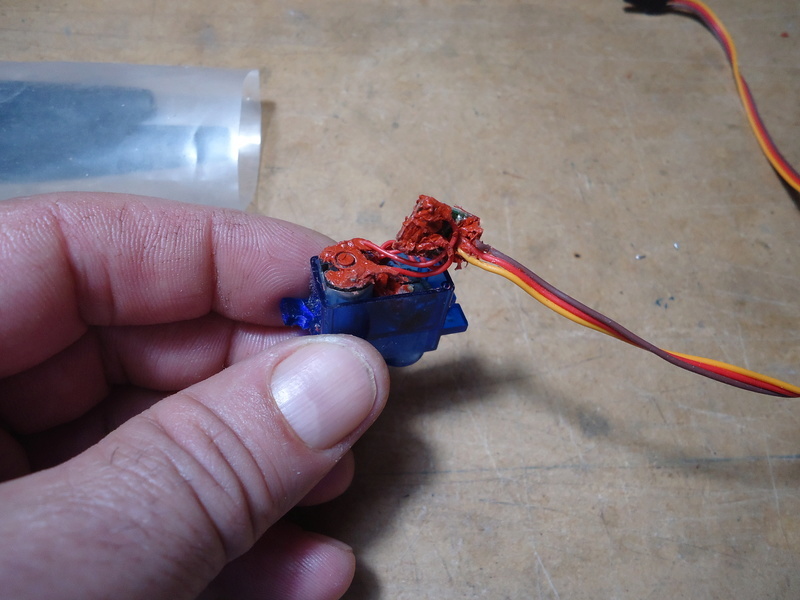 After soldering, make the decision to place silicone on the cables, in this way they will be more secure and still. Mauricio "Sully” Sullenberger......Miracle on the Soybeans. Way to be a pilot Mauricio landing undamaged with no elevator control. 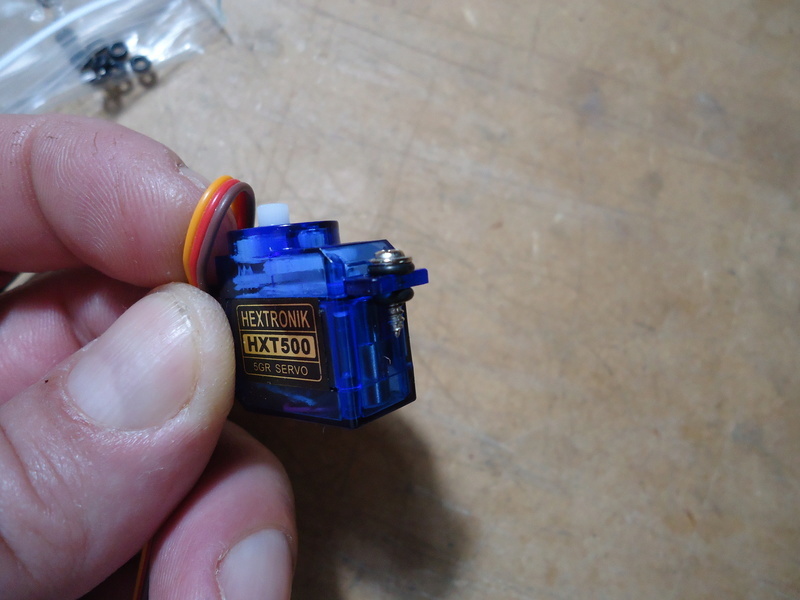 And a great fix on that servo too. I have found many times that the hole is not square to the faces of the prop. I have the luxury of placing them on a lathe and truing up both faces. So no matter how much one balances a prop, it's not going to compensate for that problem. In addition, many times one blade is slightly longer than the other. One could want to go crazy trying to figure out all of this. Put another prop on it and try it again. Yes Mauricio I must admit I also often saw servos killed by vibration. When it hits mid-air the first thing I try is throttle down or stop the engine. I have always managed to land without major damage so far. 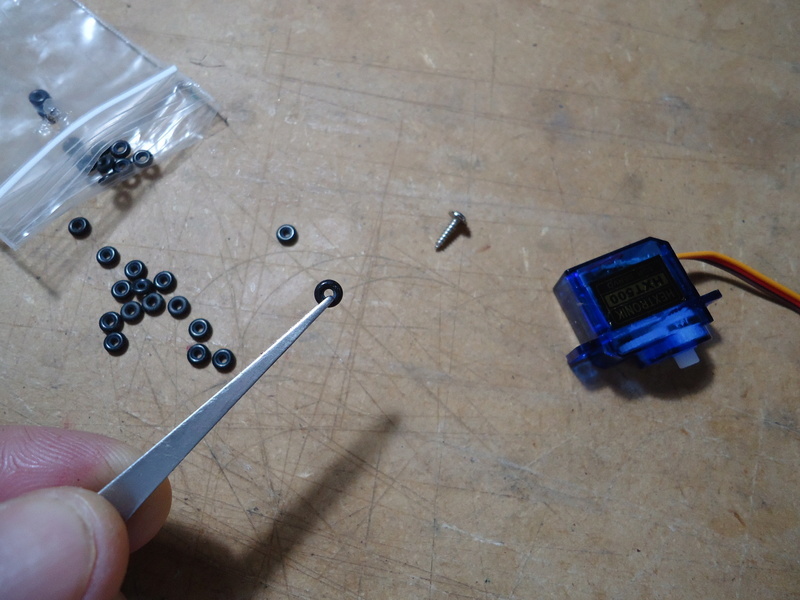 Especially in my larger planes the long elevator and rudder pushrods tend to vibrate and this constant load damages the plastic gears sooner or later. I often pull the 2 rods slightly together with rubber bands to prevent vibration. 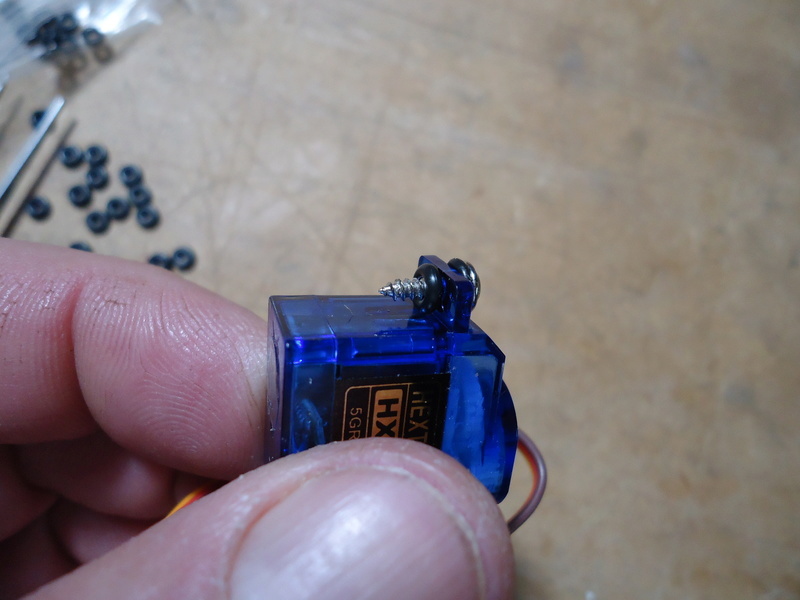 Electrical or cable soldering failures as results of vibration are less frequent in my experience. I always balance my props but large balsa planes are like drums that induce the formation of fuselage and pushhod vibration. 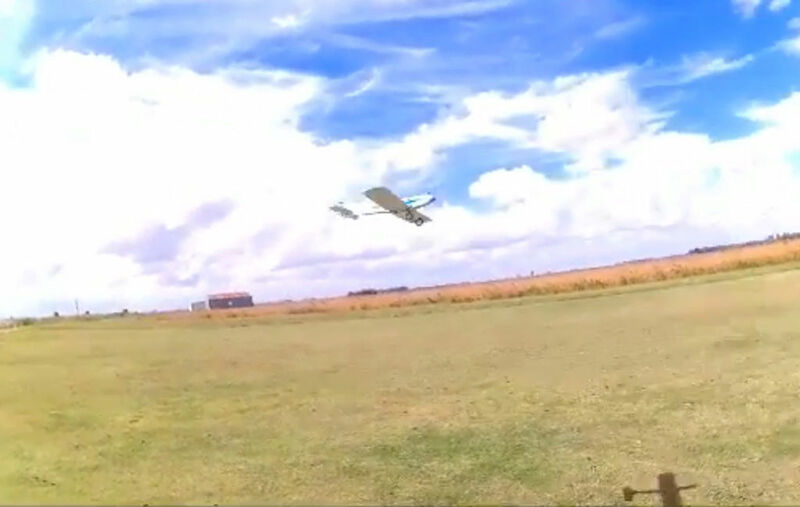 I am just trying to mitigate it in my Sig Wonder that I built a few months ago and took out flying yesterday. thanks guys for sharing experiences! 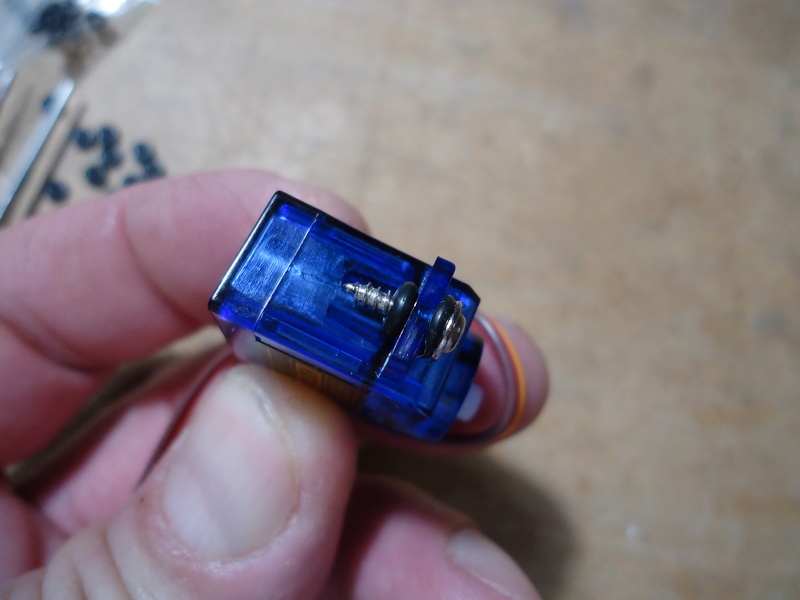 Here I show that I have also chosen to place o'ring in order to isolate the servo, as an additional aid. rsv1cox wrote: Mauricio "Sully” Sullenberger......Miracle on the Soybeans. Yes Bob, I was lucky, while trying to unload the model without damage, clench my teeth, I did what I could, soy was the mattress that saved the model! ... ufff! I love my planes! ... and I thank soy! Ken Cook wrote: I have found many times that the hole is not square to the faces of the prop. I have the luxury of placing them on a lathe and truing up both faces. So no matter how much one balances a prop, it's not going to compensate for that problem. In addition, many times one blade is slightly longer than the other. One could want to go crazy trying to figure out all of this. Put another prop on it and try it again. 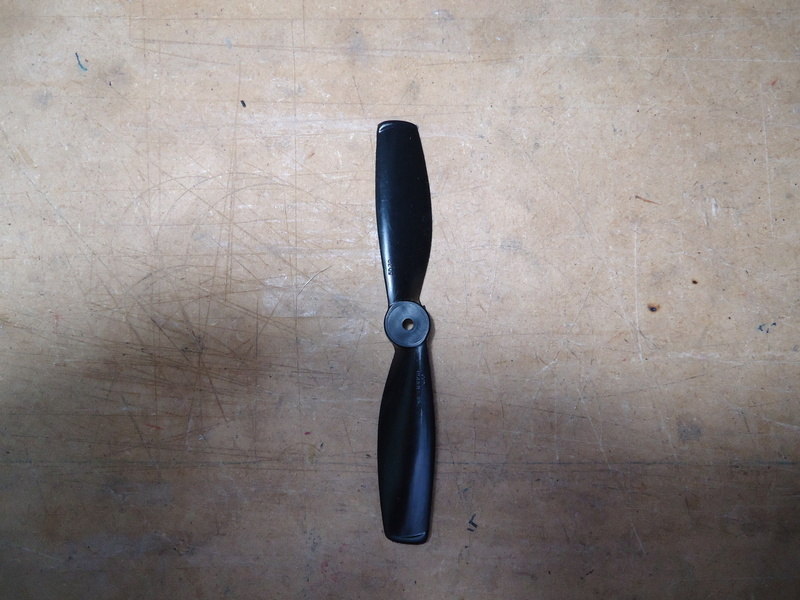 Ken you're right, look at this picture, it's the original Cox 5 x 3 propeller, it's slightly curved to the left, that is, it's deformed, I had not noticed it ... I'm surprised .. Sorry to hear you had trouble, but happy to hear the plane made it safe to the ground well done!! Those safety tip props are for youngsters or new pilots, your not allowed to use them lol. Those flexible props are very hard to balance, if they can even be balanced. If you are past the always crashing stage with your flying then switch to a more rigid prop such as Master Airscrew glass filled props. Any quality brand of prop, glass reinforced or wood, will also preform well. 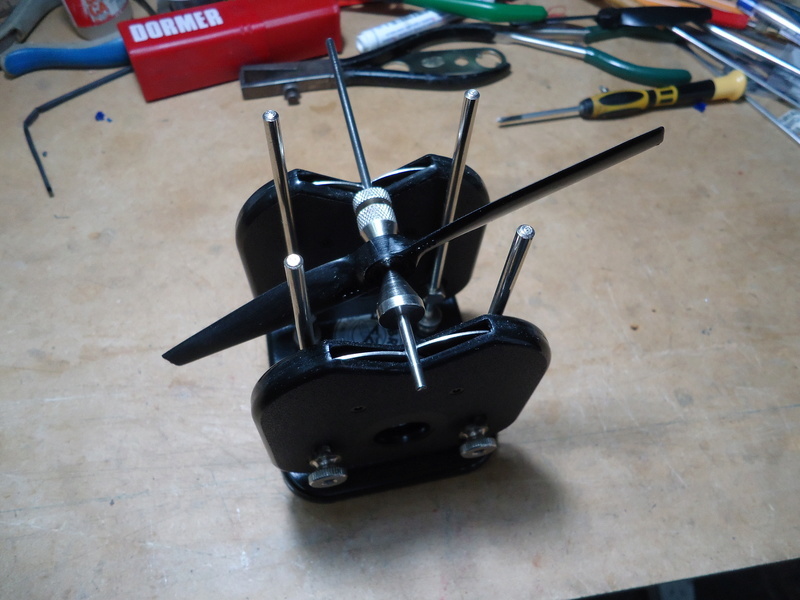 Sometimes a prop will perform smoother if you rotate the installation half a turn. If the out of balance is the same as the engine is out of balance the vibration will be very bad, while if the prop is out of balance opposite tge engine the vibration will suddenly be minimal. This just takes loosening the prop and advancing to the next blade and retightening. It is best to have everything properly balanced, but the engine is never in balance since it is a 1 cylinder. 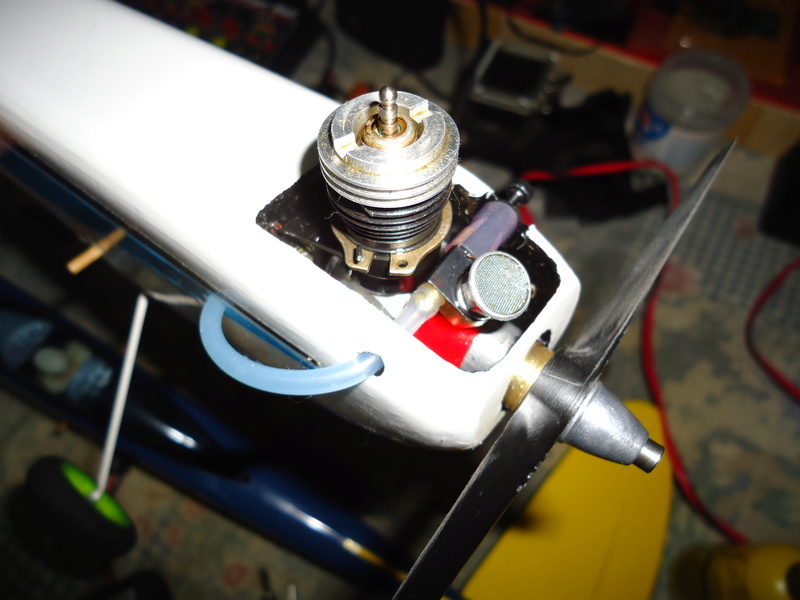 Having the propmbalanced minimises vibration more reliably than an off balance prop will. Today I went to fly, after the propellers recommended by Brad arrived. I made the rocking of them, everything was perfect, I'm happy and the model goes like a bullet in the air! my two Stylo models with the propellers recommended by Brad! pkrankow wrote: Those flexible props are very hard to balance, if they can even be balanced. If you are past the always crashing stage with your flying then switch to a more rigid prop such as Master Airscrew glass filled props. Any quality brand of prop, glass reinforced or wood, will also preform well. Your contribution Phil is very valuable ... thanks! took off from the ground with ease that is a plus. "Mauricio The Speed Flyer"
Thank you very much Brad for taking the time to make these measurements, data that is very interesting !. By the way, Brad, do you use glasses ... your models are very fast, you must have an excellent view! balogh wrote: Yes Mauricio I must admit I also often saw servos killed by vibration. When it hits mid-air the first thing I try is throttle down or stop the engine. I have always managed to land without major damage so far. 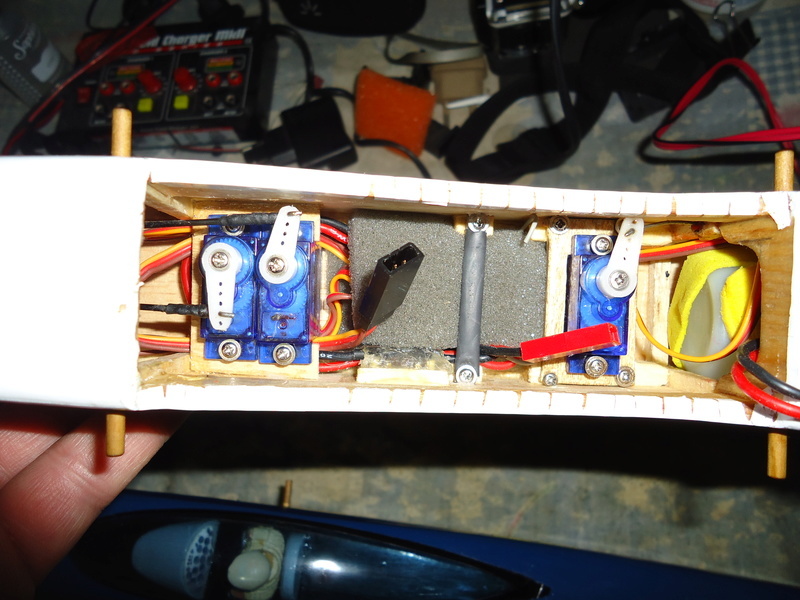 Especially in my larger planes the long elevator and rudder pushrods tend to vibrate and this constant load damages the plastic gears sooner or later. I often pull the 2 rods slightly together with rubber bands to prevent vibration. Thank you András for commenting your experience, this shows that you should take seriously the issue of these small propellers and make the right balance. Yesterday I made flights and the truth completely changes the sound and the vibrations noticeably decrease, it is "another model!" ... in short we continue learning. Now I will take all my propellers in use no matter how small they are and I will balance them, a step that should not be avoided!